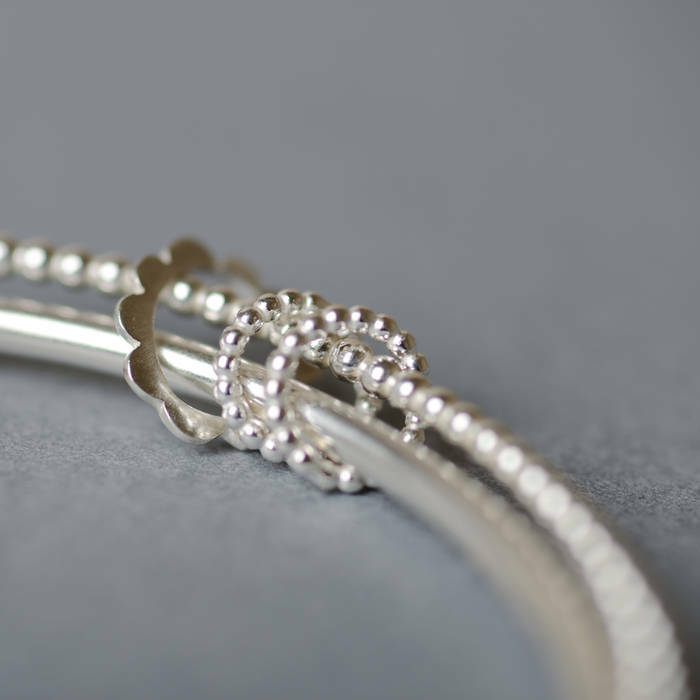 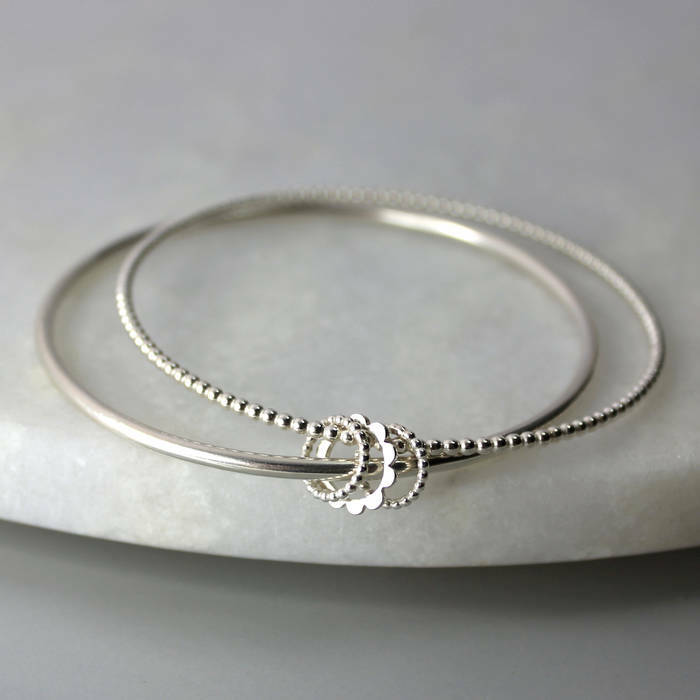 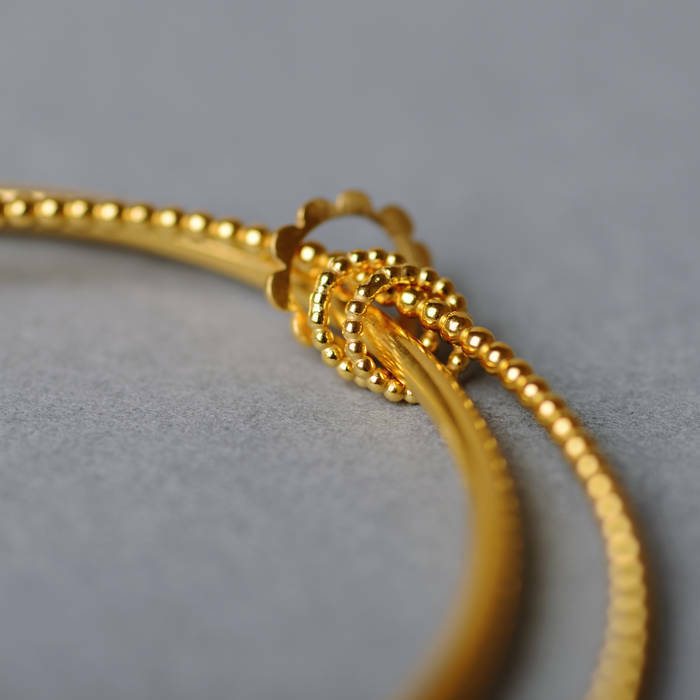 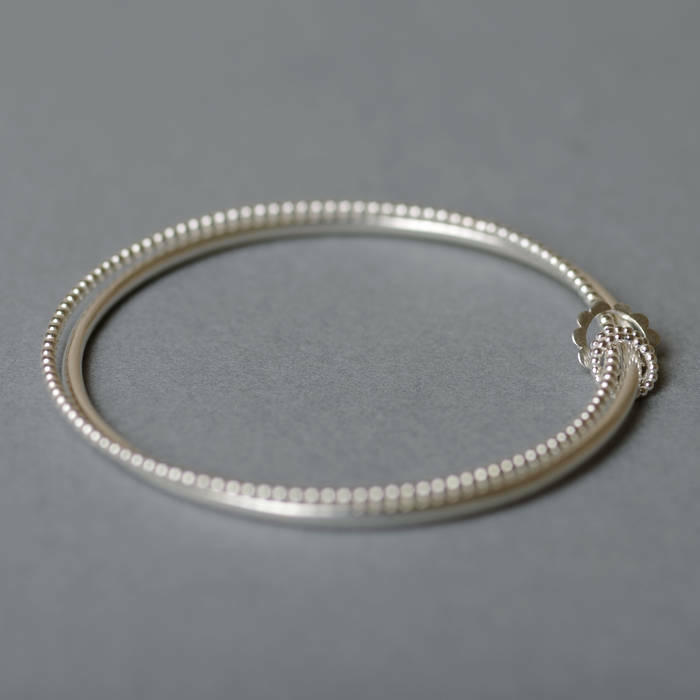 Two delicate bangles – one dotty, one plain – held together with three frilly loops. 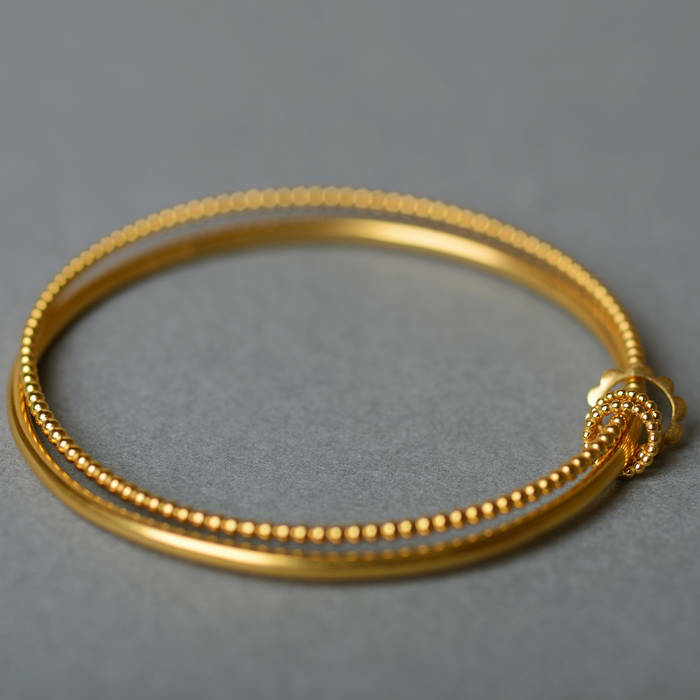 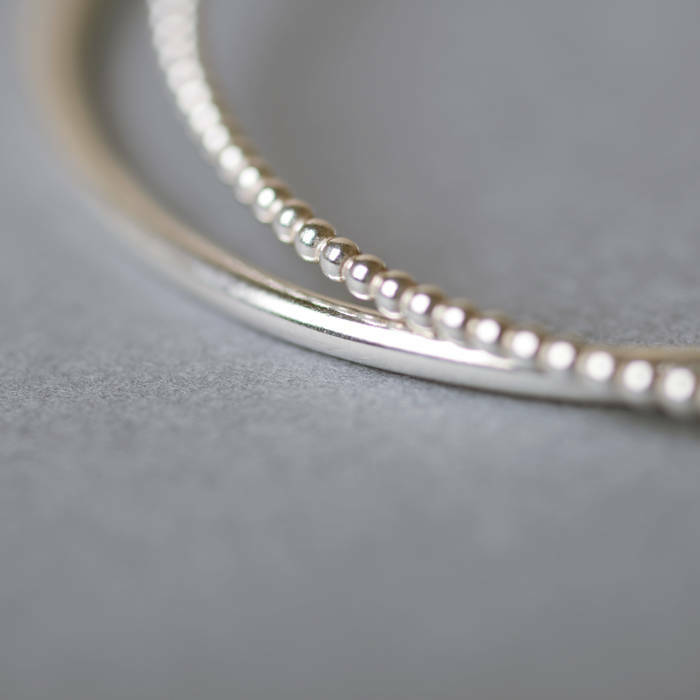 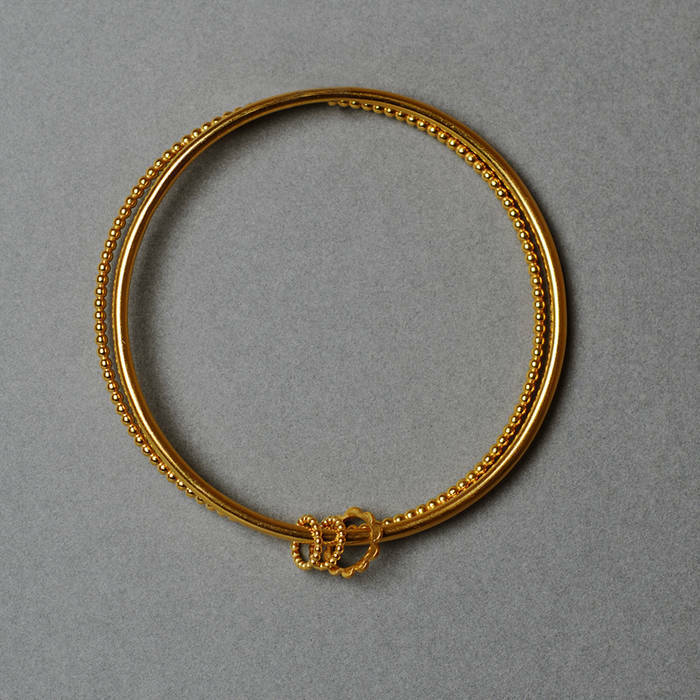 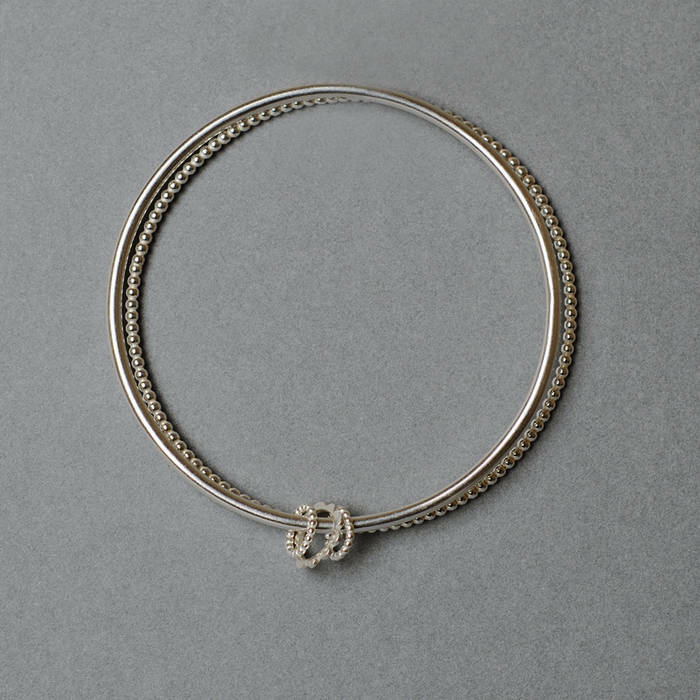 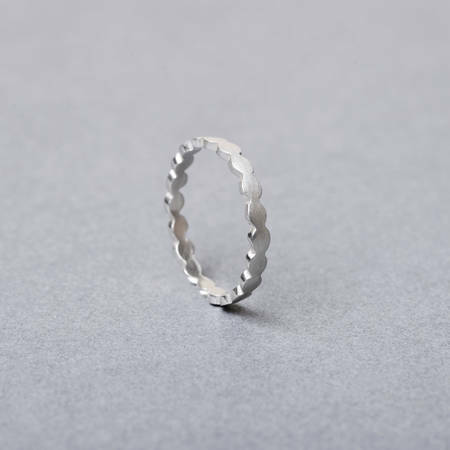 Wear the Betty bangle on its own or stacked with others. 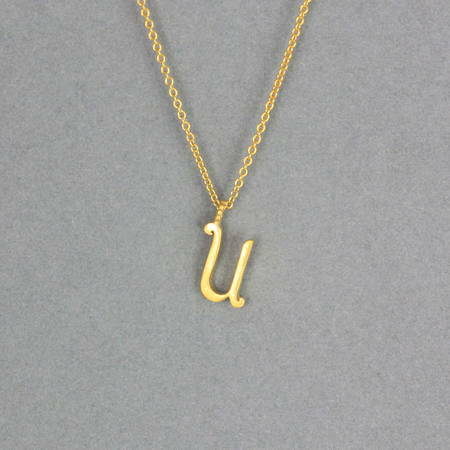 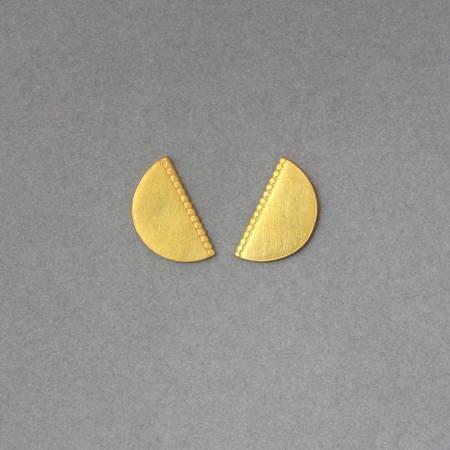 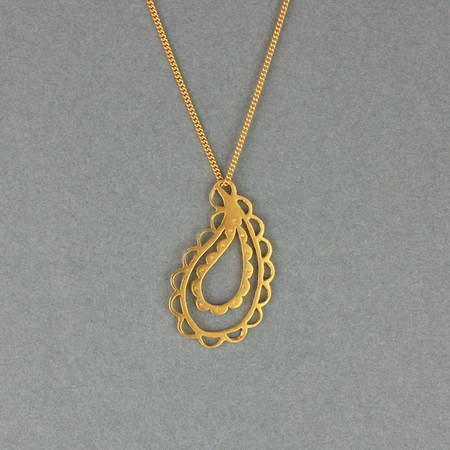 Please contact Leila to order in a different size or in solid 18ct gold.